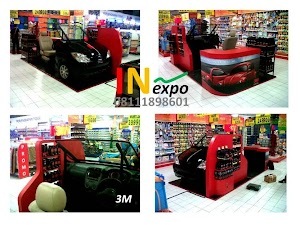 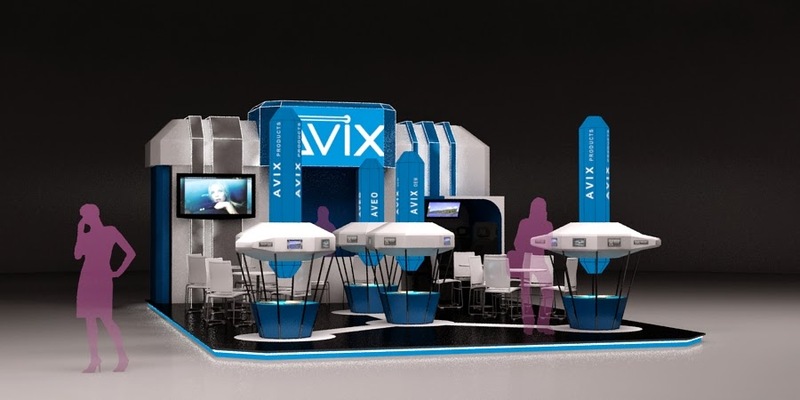 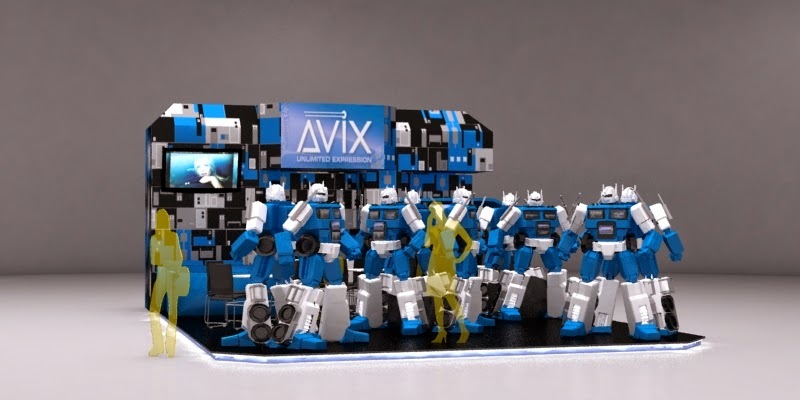 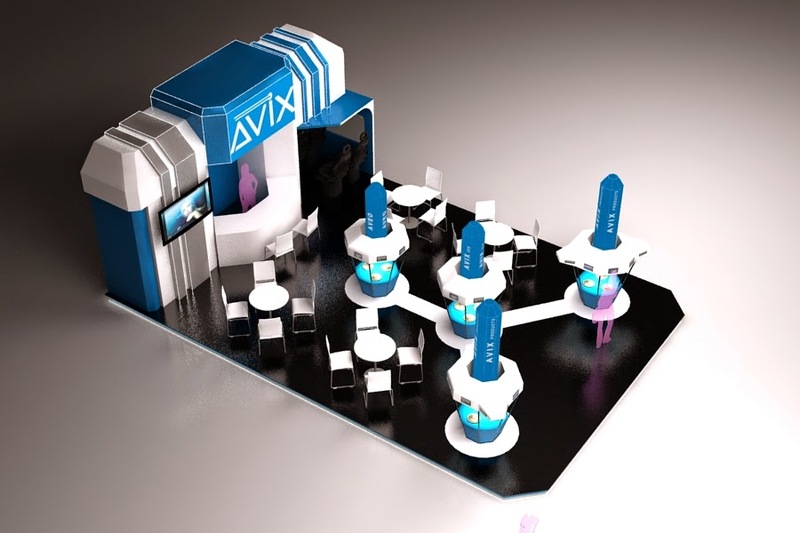 Design concept for Avix booth, Aveo and other audio video product display information. 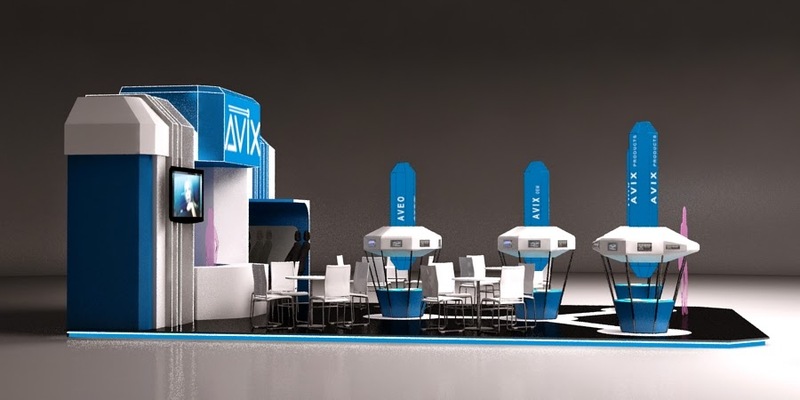 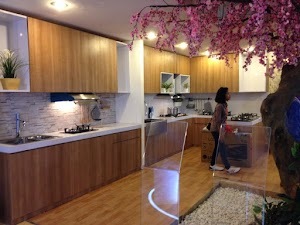 Blue and white elegant design. 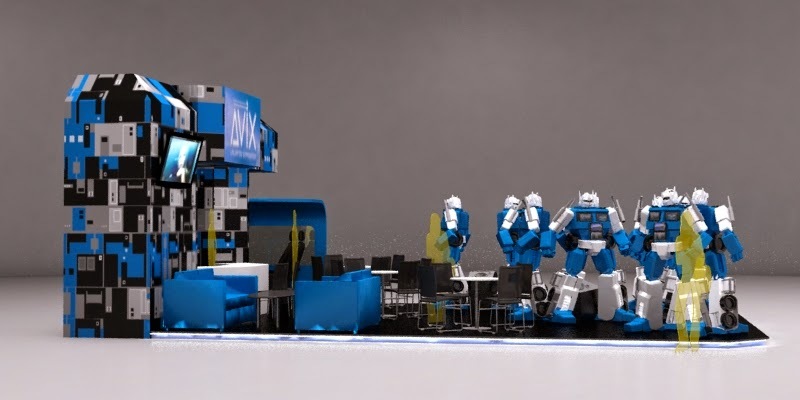 Alternative concept with futuristic robot decoration and sound system.